Raviteja Lingineni was walking around campus last fall and noticed a group of students asking for donations toward curing retinal cancer. The 16-year-old Texas Academy of Math and Science student donated to the cause. It also gave him an idea. Lingineni created a design for electronic shoes powered by the compression motion of walking, which could help blind people navigate through the use of sensors in their shoes and a vibrating headband. He entered it into the IDEA competition, offered by UNT’s Murphy Center for Entrepreneurship. He was one of five winners. The IDEA competition, which is open to all UNT students, requires applicants to explain an idea—any idea—in 250 words or less. Finalists are required to give a 15-second pitch to a panel of judges. Four winners receive $250 and dinner with the judges of the competition, who advise contestants on how to implement their ideas. Students can enter the spring 2014 competition anytime before March 7, and finalists will be notified by March 17. In its first semester – fall 2010 – only about 40 people applied for the competition. But last fall, the number had risen all the way to 150, according to Murphy Center Director Dr. Anthony Mendes, who is also responsible for creating UNT’s IDEA competition. The purpose of the competition is to allow students to express their creativity. The judges of the competition are looking for ideas that are based on an opportunity in the marketplace. They also consider feasibility, as well as how convincing the presenter is in communicating the value of his or her idea, Mendes said. “We look for students that are really passionate about their ideas because then we know they’re going to do something with it,” he said. Although many students do go on to implement their ideas, Lingineni decided against it for the electronic shoes and moved on to other projects. He has an idea book, in which he brainstorms experiments and ideas for inventions to help society. Kevin Roden, the assistant director for student life for TAMS, said Lingineni strikes him as someone who is motivated with goals. Lingineni’s latest endeavor is a website for creators called Build, which aims to be a community of like-minded individuals who have a passion for building things. “It’s almost like a social network with a complex structure where people within their area can post projects,” Lingineni said. Many past IDEA competition winners’ ideas have become a reality. TAMS students Arun Yagamurthy, 16, and Alberto Him, 17, entered last semester’s competition with an idea for a non-profit organization called EverCare Medical, a company that would deliver medical supplies to developing countries. Last summer, the two were able to donate $3,000 worth of medical supplies to a clinic in Venezuela. Yagamurthy and Him agreed they wanted to do something to change people’s lives and solve world problems. Mendes said he strongly encourages students to apply for the competition and share their thoughts. 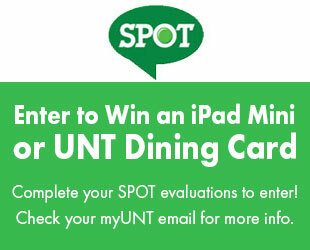 The online application for the IDEA competition can be found at http://www.murphycenter.unt.edu/students/ideacompetition.php.